Canadian Olympic gold medalist Matt Duchene of Haliburton, Ontario had a four point night on Friday as the Columbus Blue Jackets upset the Tampa Bay Lightning 5-1 in game two of the first round of the 2019 Stanley Cup playoffs. Duchene, who had one goal and three assists, has been instrumental for a Blue Jackets team that is the talk of the National Hockey League at the moment. Columbus entered the playoffs as the number eight seed in the East and had 30 points fewer than Tampa Bay, but currently has a two games to none lead in the best out of seven series. In the Blue Jackets win, Duchene had first period assists on goals by Cam Atkinson and Zach Werenski. The 2014 Olympic gold medalist then scored the only goal in the second period on the power play from Werenski and Artemi Panarin to put the Blue Jackets up 3-0. Duchene then got an assist on the final goal of the game from Panarin at 12:15 of the third period. 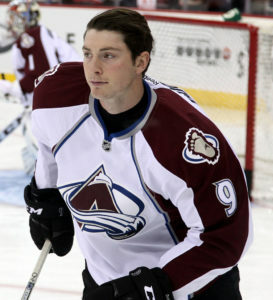 The goal Duchene scored was his first playoff goal in 10 games. Riley Nash of Consort, Alberta also scored for Columbus. In the New York Islanders 3-1 win over the Pittsburgh Penguins, Jordan Eberle of Regina, Saskatchewan had a multi-point game as he had one goal and one assist for two points. Josh Bailey of Bowmanville, Ontario and Anthony Beauvillier of Sorel-Tracy, Quebec also scored for the Islanders. With the series heading to Pittsburgh, the Islanders have a 2-0 series lead. In the St. Louis Blues 4-3 win over the Winnipeg Jets, Canadian Olympic gold medalist Jay Boumeester of Edmonton, Alberta notched two assists and Ryan O’Reilly had the game winning goal as the Blues took a 2-0 series lead. Meanwhile in San Jose, the Vegas Golden Knights beat the San Jose Sharks 5-3 to tie their series at one game apiece. Mark Stone of Winnipeg, Manitoba scored the game winning goal at 1:31 of the second period. Duchene and Boumeester won a gold medal for Canada at the 2014 Olympic Winter Games in Sochi. Copyright © 2019 Canadian Sport Scene. All rights reserved.